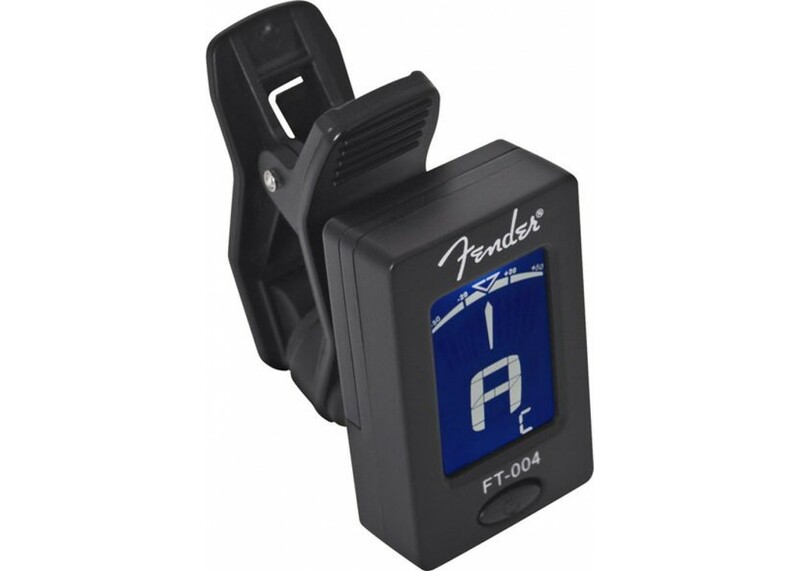 Fender®'s FT-004 is a small format, clip-on style tuner with a large, easy to read display designed to be visible under adverse lighting conditions. The lighted needle indicator shows white when out of tune and bright green when in tune. The swivel design is easy to read from any angle. 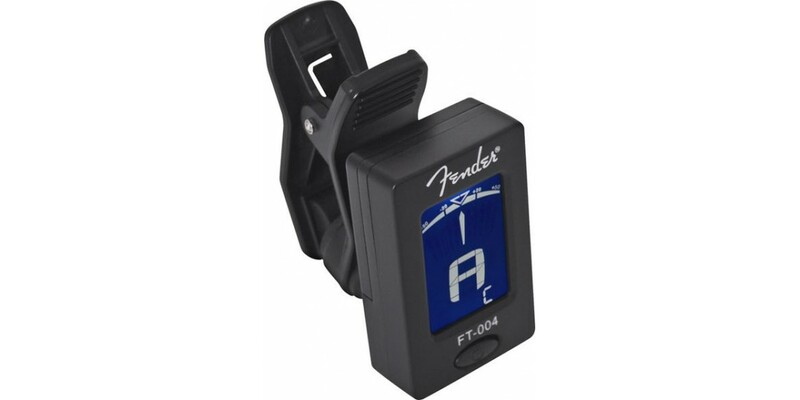 Tuning modes include guitar, bass, ukulele, violin and chromatic.